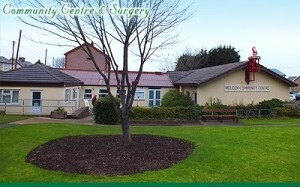 Just on the outskirts of Meliden but well worth a mention! Tiny Tots is a preschool day nursery with an out of school unit within the grounds, providing quality care to children and babies of all ages. Tiny Tots also runs an out of school facility within Trelawnyd VA School. 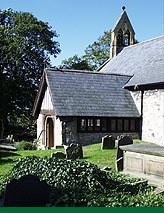 Meliden is one of the ancient parishes of Flintshire. The parish originally comprised the townships of Meliden, Prestatyn and Nant; but Prestatyn and Nant were lost to the new parish of Prestatyn in 1860. 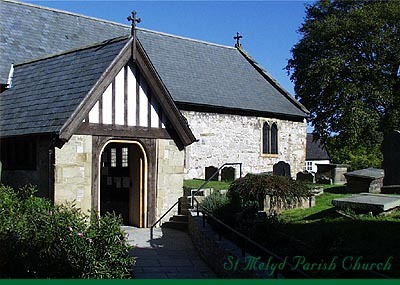 The earliest recorded reference is said to be in the “Lincoln Taxation” of 1291, and some parts of the church fabric are believed to date from the thirteenth century. The building was extensively restored in 1884. 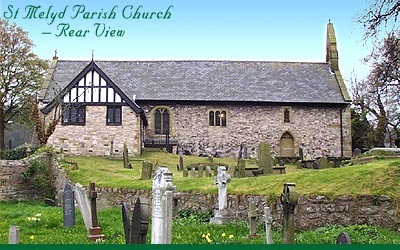 The church was in Flintshire until 1974; and in Clwyd from 1974 until 1996. 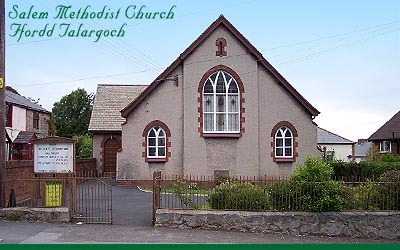 It is now in “new” Denbighshire. 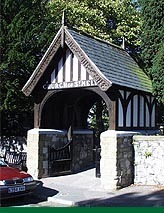 Erected in 1860 through the contributions of the people and miners of Meliden. Demolished in 1993. Housing flatlets were built in its place. The site is on the corner at the bottom of Ffordd Tanrallt. In this old picture of Meliden we can see Seion Chapel (centre) from near the Miners Arms looking towards Graig Fawr. To the left is the mine waste (Smyddan) from Cae Llys. In the background, on the skyline a chimney at Talargoch can just about be made out. 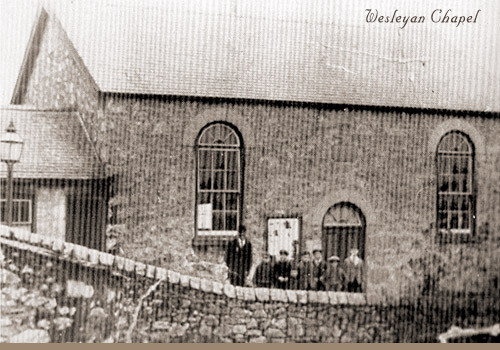 As a result of the overall deteriation the Wesleyan Chapel which dates from 1860 was closed in 1925 when a new larger Chapel (Salem) was opened a short distance to the north. Photographed here in 1905, the building was in use as shops since and is now a residential dwelling. 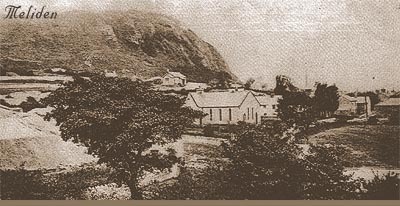 Barely visible on the extreme right is part of the group of cottages which once existed below the chapel. 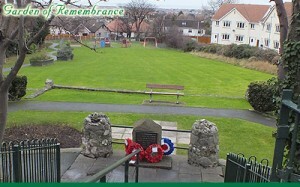 The forground is now the Garden of Remembrance and village recreation ground. The Reverend D.R. 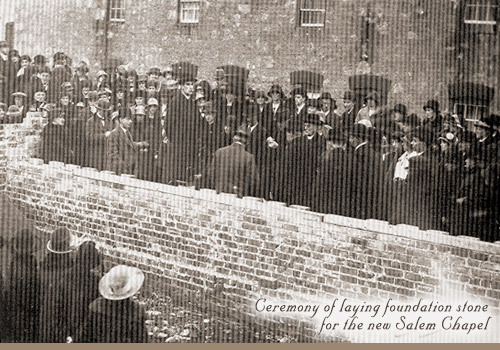 Thomas addresses the assembled gathering at the ceremony of laying the foundation stone for the new Salem Chapel in 1923. 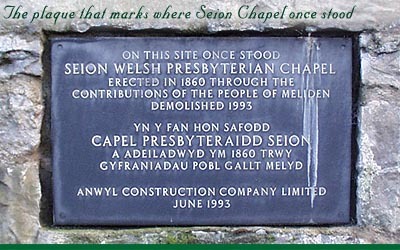 The chapel was actally completed and opened in July 1925. The cottages beyond are part of Mount Pleasant terrace, being typical miners’ cottages. 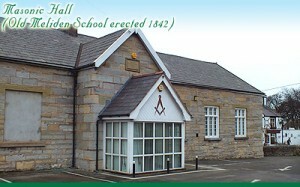 This was previously the Old Meliden National School building erected in 1842 to serve the local children of the mining community. Small childrens play area and recreation field with War Memorial at base of steps. This area used to be covered in ‘Smyddan’ mine waste during the time of the Talargoch Mine. 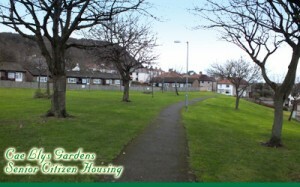 It was developed into Senior Citizen housing with a large public garden.